Despite the fact that we are continually become better connected in today’s society, there is an unyielding barrier that stands between people, culture, and society. If you’ve worked in or with any international team, you already know the challenges of cross-language and cross-cultural communication. Sure, there are translations, be it human or machine. But any bilingual can easily notice the nuance, subtext, and implications that are often lost in translation. I remember in one class of my high school’s literature class, we were studying a classic Chinese poem. 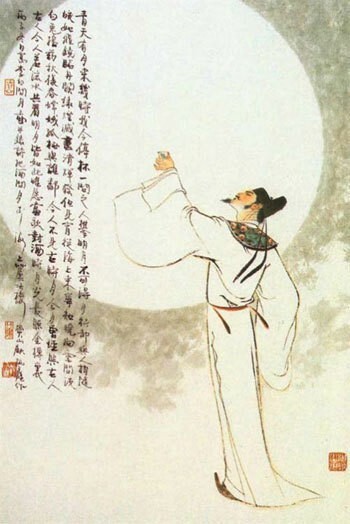 It was Li Bai’s 靜夜思. While the text book has the original text, we studied the English translation. Knowing the original, I was baffled when our teacher pointed out alliteration from the poem. No, it did not exist in the original at all! But it’s not her fault. It was the translator who took the liberty to add features to the translation; most likely to make up for the lost of rhythm and rhyme of the original. Machine Translation has always been a heavily studied field over the years, with great improvements. However, there are still much context and subtleties that are lost in both human and machine translations. Personally, I believe they will never be captured in translation. There are two major reasons: One, languages do not map one-to-one with each other. And two, accuracy of translation engines are measured on the explicit message, not the implicit. Seth Grimes is a figure in the text analytics industry and the organizer of the annual Sentiment Analysis Symposium. He has been championing sense-making as the holy grail for text technology*. And I agree with him. Understanding the text should go beyond semantics, grammar, and topics, but capture the hidden meaning being implied as well. It means identifying and using metrics including elemental (not just polar) sentiments, word choice profiles, tonality, formality, subject context, and more to comprehensively capture the speaker’s mindset. Only with these information, the communication between people can truly be bridged; between languages, cultures, and perhaps even between men and women! If you are interesting to read more about this topic, I suggest Seth’s article here. It is more focus on a business intelligence and analysis context. *Sense-making, as described by Seth and the field, goes beyond text, but also include audio, video, and all other forms of media. Sometimes I travel; sometimes I draw; sometimes I write; sometimes, I code. Aspiring polymath.